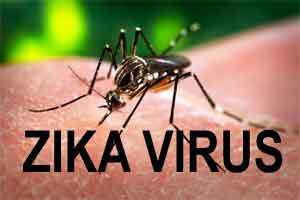 A team of researchers led by Indian-origin scientists have discovered that the deadly Zika virus can infect and replicate in immune cells from the placenta, without killing them. According to the researchers, little was known about how the virus was replicating in placenta and in what cell type. The finding showed that Zika virus could infect Hofbauer cells — placental macrophages — in cell culture. Hofbauer cells are foetally derived, in contrast with other immune cells found in the placenta called decidual macrophages, which are maternally derived. They are thought to be more tolerant and less prone to inflammatory responses than other immune cells, the researchers said. However, signs of antiviral and inflammatory responses were detected in infected Hofbauer cells. “Host genetics and non-viral factors, including nutrition and microbiota, as well as timing may be influencing infectivity,” said one of the researchers Mehul Suthar, assistant professor at Emory University in the US. Also, the level of viral replication was found different from donor to donor, hinting that some women’s placentae may be more susceptible to viral infection than others. “Not every pregnant woman who is infected by Zika transmits the virus to her foetus,” Suthar added. In addition, the virus could infect another type of placental cell, called cytotrophoblasts, but only after a couple days delay and not as readily. The study, published in the journal Cell Host & Microbe, may explain how the virus can pass through the placenta of a pregnant woman, on its way to infect developing brain cells in her foetus. “A better understanding of these factors could allow the design of preventive measures, and eventually antiviral therapies,” Suthar noted.